Even though I am a pharmacist, I do not write or share much information about medication in this blog, because I do not feel it is appropriate to promote the use of medication as if it's some kind of nirvana. But occasionally I find things I think worth sharing, and this is one that I got from one of the pain management websites that I frequent. 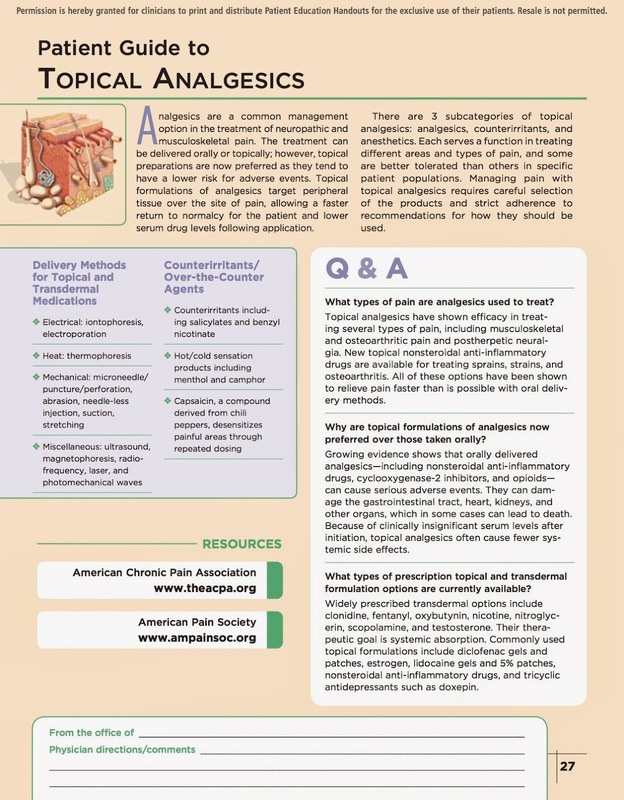 So, for your reading pleasure- I present "A Patient Guide to Topical Analgesics."